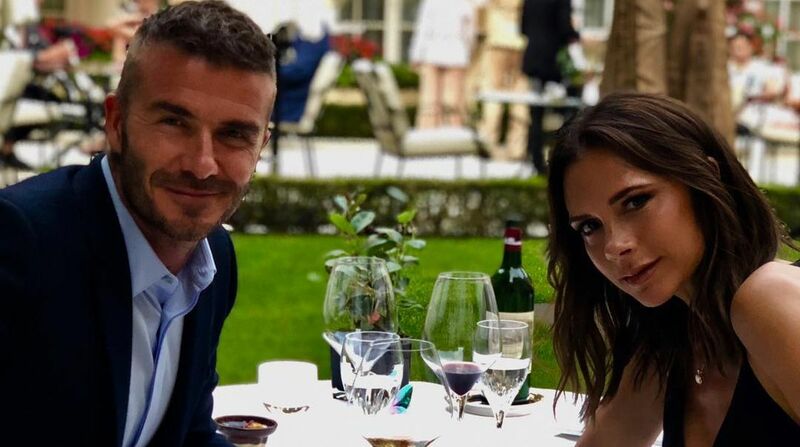 Fashion designer Victoria Beckham told her children her marriage is solid amid false rumours of her husband David cheating. She revealed all to Vogue magazine as the couple holidayed in the South of France. The couple sat down with seven-year-old daughter Harper, and her three teenage brothers to reassure them their marriage was solid after David was falsely linked to another woman. The interview with the magazine was initially intended to mark her 10 years in fashion. But she wanted to address claims which swept social media three months ago that she was divorcing, reports thesun.co.uk. The fashion designer, 44, requested her husband to join her for the cover photograph – though a “sultry” solo one of Victoria was also taken. A friend said the Beckhams are always “transparent” with their children. Sources said: “Allegations about the state of their marriage and ridiculous claims about David are extremely hurtful, and obviously potentially very distressing for the kids. “Whilst publicly they maintained a united front by laughing off the rumours, behind closed doors they’ve taken them much more seriously. They sat the children down and addressed these horrific, hurtful whispers.